Sideboard designed by Christian Krass in Paris. 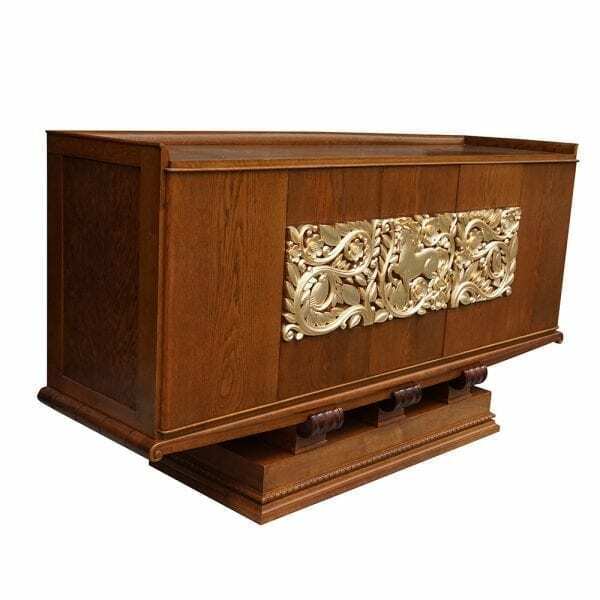 This cabinet is an Art Deco piece composed of solid oak. 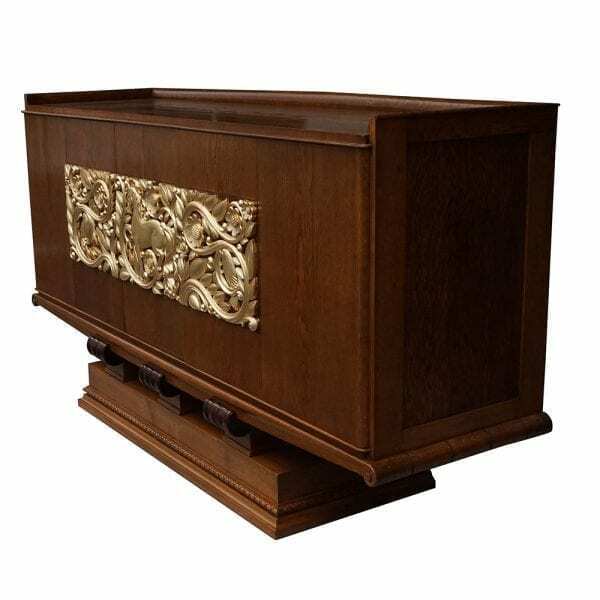 The front is divided into three panels with very detailed gilt wood relief carvings, including vines, flowers, leaves, horses, and birds. This piece is in excellent condition. Wear consistent with age and use. Christian Krass was born in 1868 Lyon, France and passed away in 1957 France. He was a French designer and producer. 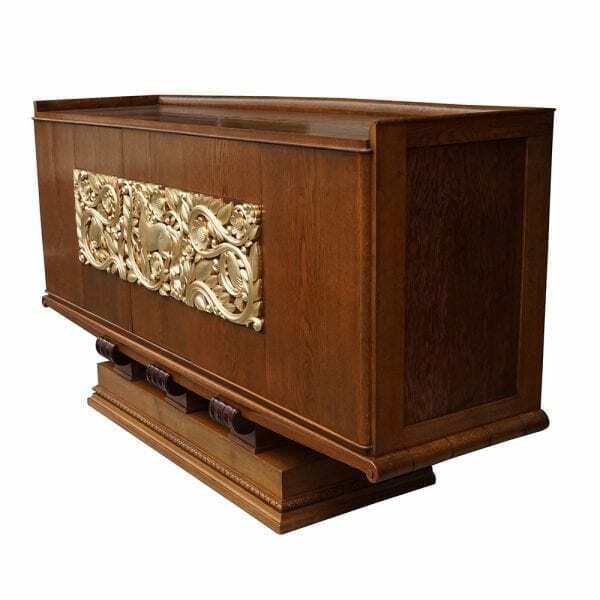 Krass studied at the Ecole des Arts Decoratifs d’Aubusson university, in Aubusson, France and later he finished his apprentice under the French designer Emile-Jaques Ruhlmann and received his master of Art Deco Furniture. One of the most important work from Krass was made for the Aga Kahn. 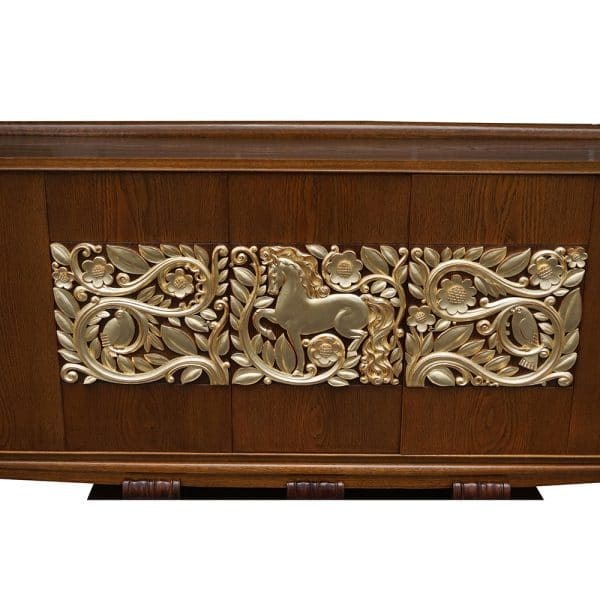 Categories: Period Furniture, Art Deco / 1925 - 1940. 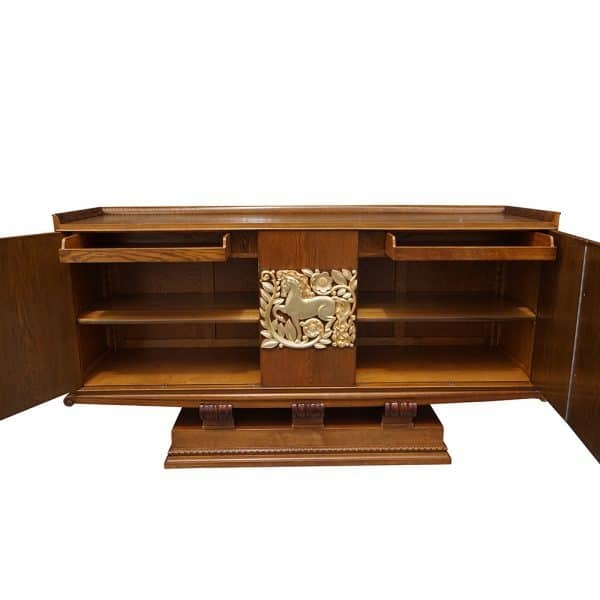 Tags: ART DECO, BUFFET, CABINET, Christian Krass, FRANCE, OAK, SIDEBOARD, WOOD. 44.5 H in. x 83 W in. x 23 D in. Christian Krass was born in 1868 Lyon, France and passed away in 1957 France. He was a French designer and producer. Krass studied at the Ecole des Arts Decoratifs d'Aubusson university, in Aubusson, France and later he finished his apprentice under the French designer Emile-Jaques Ruhlmann and received his master of Art Deco Furniture. One of the most important work from Krass was made for the Aga Kahn.